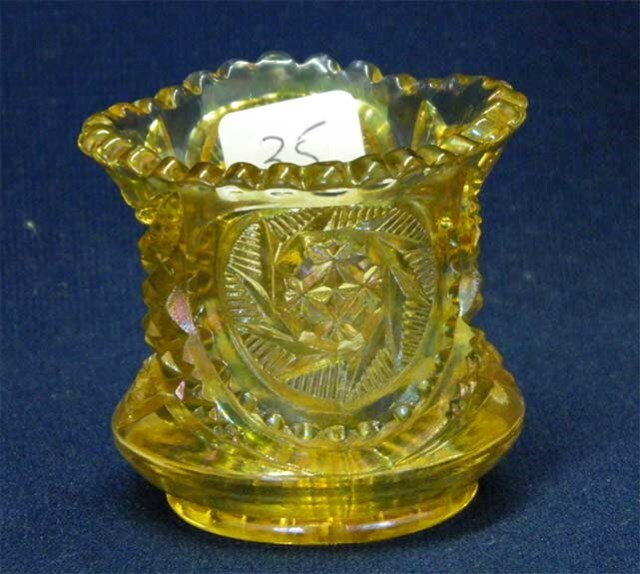 Known in a handful of marigold tumblers and a creamer and sugar set. 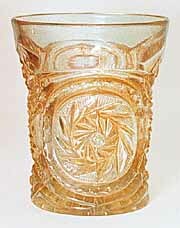 The pattern, repeated on two sides of the tumbler, is a whirling star encircled by a chain. The base is ground and is 2 1/2 inches in diameter. Also known as Virginia or No. 1467. A marigold example sold in 2010 for $160 and another in 2011 for $30. 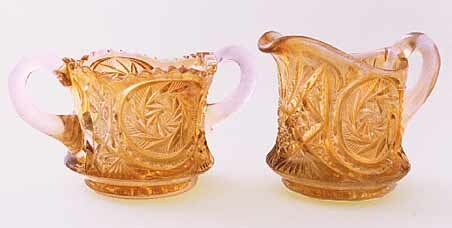 This tumbler is courtesy of Lee Markley; the marigold creamer and sugar sold for $175 in 1998. 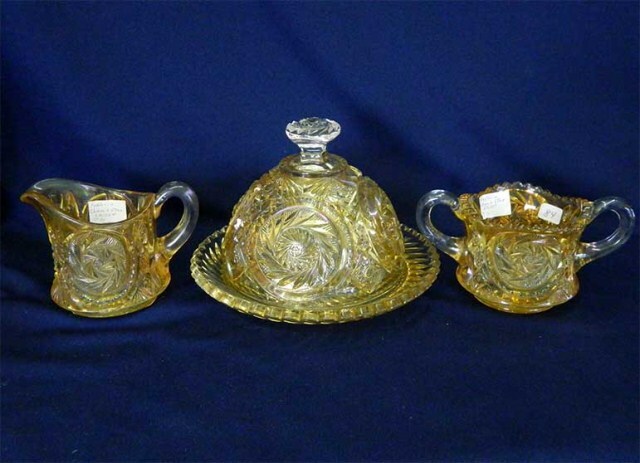 Here's another creamer and sugar, along with a butter dish–the only one reported. The group, in marigold, sold for $170 in 2012. There were some pinpoint nicks on the butter dish. Photo courtesy of Seeck Auctions.